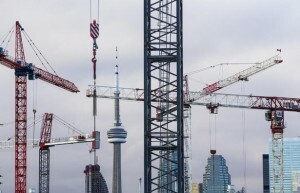 Susan Pigg, business reporter for the Toronto Star and Shaun Hildebrand, senior vice president of Urbanation foresee 2014 as a “New cycle” of condo sales coming to the GTA as developers see confidence returning to the market. The following article explains their view. “The GTA new condo market is expected to see a slow, steady rebound in sales through 2014, says market research firm Urbanation. Almost 4,300 new condos sold in the fourth quarter of 2013, the best quarter in 1½ years, Urbanation says in a state of the market assessment released Friday.